Enjoy good taste and moment to remember! Come and visit our cafe and relax with coffee, cakes and pastries. We also offer a catering service and a chef on demand if you are having a private party. We can offer food service for big events and celebrity events. We solve everything, let us take care of you and make it perfect for you. Contact us and your a bit closer to a perfect day with your friends! We serve coffee, cakes and pastries. Enjoy a Swedish coffee break or as we call it FIKA. 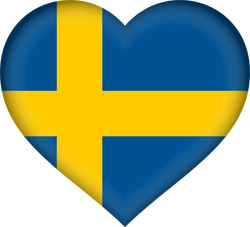 "So great, just like home"
"Finally a real taste of Sweden"
"Thanks for the best fika ever"
"Helt fantastiskt bra, så nöjd med allt"
LET ME KNOW MORE NOW! Vem älskar inte en god fika?